Are Maltese Poodle Mixes the Right Dogs for You? Miniature or Toy Poodle & a Maltese. These mixed breed dogs are often given specific names, but keep in mind that they are not a separate dog breed. 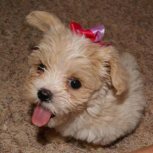 According to Maltipoo owners, these dogs have very high intelligence and they are recognized as being non shedding dogs. 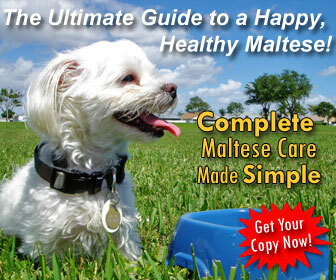 Read more about this Maltese mix below. 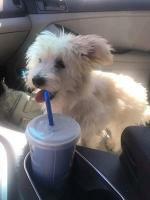 Do you have Maltese Poodle mixes? Click here to join us on Facebook and post pictures of your lil cutie for everyone to see! 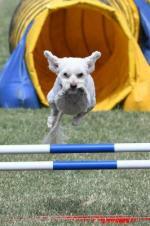 These dogs take on the temperament of both Poodles and Maltese. They are amusing, clever little dogs. 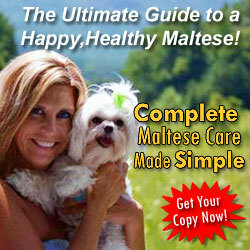 Malti-poos are also highly intelligent and easy to train. You should socialize and train them to combat barking and boredom. They are sometimes reserved with strangers and can serve as a good watchdog. 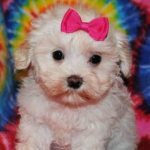 If you already have a Maltese Poodle mix or know someone that does, check out these unique gifts for Malti-poo dog lovers below. Famous celebrities that have Maltese Poodles include Jessica Simpson (Daisy), Carmen Electra (Kiko), Ellen DeGeneres (Wolf), Michelle Kwan (Tofu and Ginseng), and Ashley Tisdale (Blondie). If you like a wide variety of colors, than a Maltese Poodle mix might be right for you! Poodles come in many colors such as apricot, cream, black, white, and brown. When you mix this with a white Maltese, you get varying shades and patches of color. With so much variety, you'll be sure to find a color and style that suits you. These dogs are also non-shedding and most are hypoallergenic. 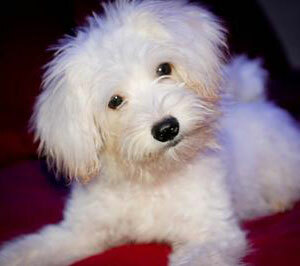 Full grown Malti-Poos average 6-9 lbs, about the same size as a purebred Maltese. These are my Maltipoo puppies: Sunny and Rico. I love them so much. They are now 5 months and as hyper and loveable as anything. 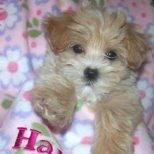 Brutus, my Malti-poo puppy, has a beautiful personality and keeps us laughing all day... such a joy and we love him to bits! This is my new baby. She was the cutest of all the Maltipoo puppies I have seen!